When the Knights departed, at the close of the 18th century, the French under Napoleon moved in. When they were expelled the British took over. 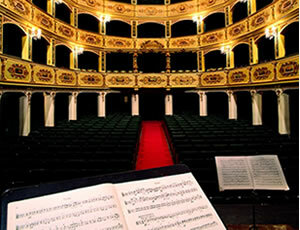 During the first half of the 19th century the Manoel presented a nine-month cycle of lyric opera. The inauguration of the Royal Opera House on October 9, 1866 overshadowed and subsequently engulfed the Manoel. Under British rule, the theatre became the Royal Theatre and was rented out, as it had been under the Knights, to impresarios. The building underwent a series of alterations and enlargements, establishing its role as the Nation’s entertainment centre; and, over the next 60 years played host to year-round theatrical productions to an ever-increasing audience of locals, tourists and foreign dignitaries. Throughout the 19th century opera, and later operetta, remained the dominant form of entertainment in our theatre, but drama in English, Italian, and later in Maltese, generally performed by amateurs, often appeared on its boards. Goldsmith’s ‘She Stoops to Conquer’ was played in 1801, and in the following decades comedies and farces by George Colman, Thomas Morton and others were very popular. Luigi Rosato and subsequently Carmelo Camilleri were two actor/playwrights whose efforts and ability ensured that the fledgling drama in Maltese would survive into adulthood. 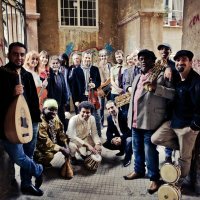 At the turn of the century the drama group Indipendenza brought a touch of professionalism to their performances of musicals and plays in Maltese. 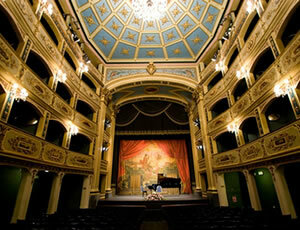 Italian opera was preferred above all other opera by the Maltese public. Rossini, Bellini, Donizetti and Verdi were the great favourites, but dozens of minor composers’ works were also performed. Most of the singers were foreign, mainly Italian. The great soprano Euphyrosyne Parepa and the equally great mezzo soprano Adelaide Borghi sang at the Manoel in the 1850’s, very early in their careers.